Recently, I was thrilled to receive a surprise in the mail from my lovely cousin, Belinda. 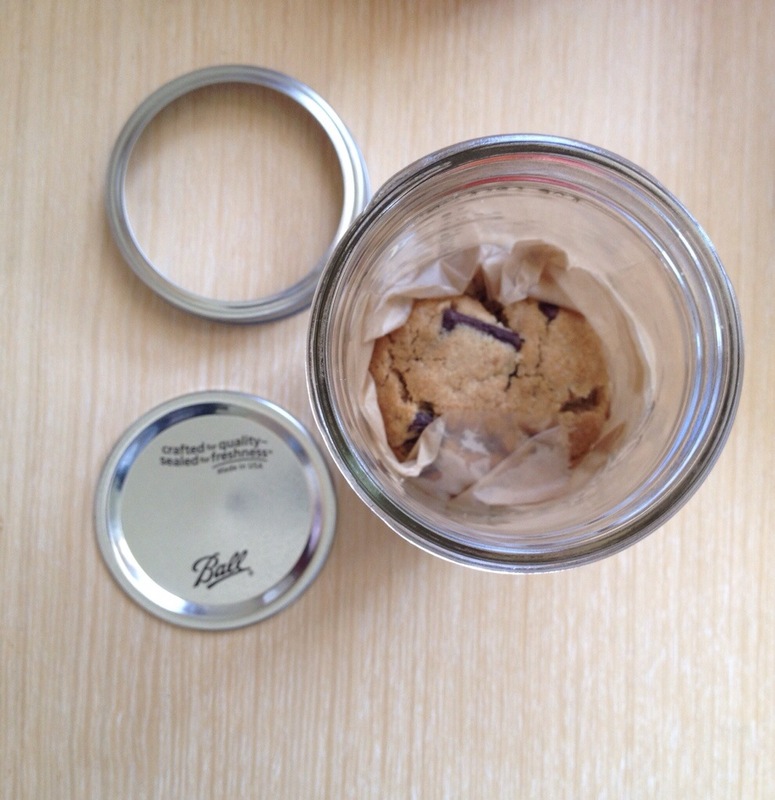 When I opened the box, I was so excited to find a Ball Jar filled to the brim with homemade vegan chocolate chunk cookies. These carefully wrapped cookies journeyed from California to Taiwan, and even survived a detour through the customs office before arriving safe and sound at my office. I had never tasted a vegan cookie before, so I could hardly wait to try one! The cookies were moist and delightfully crumbly, despite the fact that they spent three weeks on the road. I loved the texture and the big chunks of semi-sweet vegan chocolate. I also did some research about vegan baking, and I found out that there are some really unexpected ingredients that can be used instead of dairy products. For instance, cow’s milk can be replaced with soy, coconut, almond or rice milk. 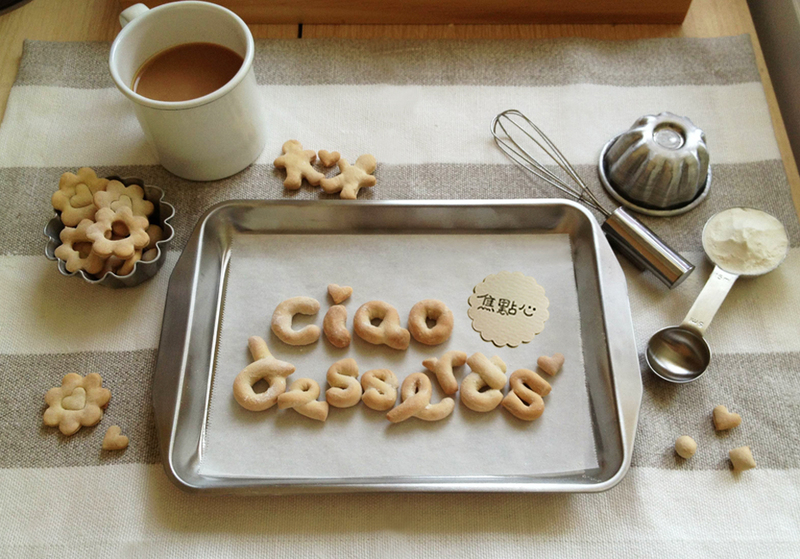 Coconut oil can be used as a substitute for butter in some recipes, (such as these cookies). Eggs can be replaced with flaxseed and water, if used for leavening purposes. If eggs are for used for binding purposes in a recipe, then they can be replaced with cornstarch and water. If you’re making a custard or quiche, then eggs can be replaced with puréed soft tofu. Incredulously, I also read that one can of diet soda can be used in the place of two eggs! Now that I think of it, a lot of my recipes use a lot of dairy, yet I have some lactose intolerant friends whom I would love to bake or make desserts for. So, I’m going to try using coconut cream and oil, and soy and almond milks in some of my standby recipes. 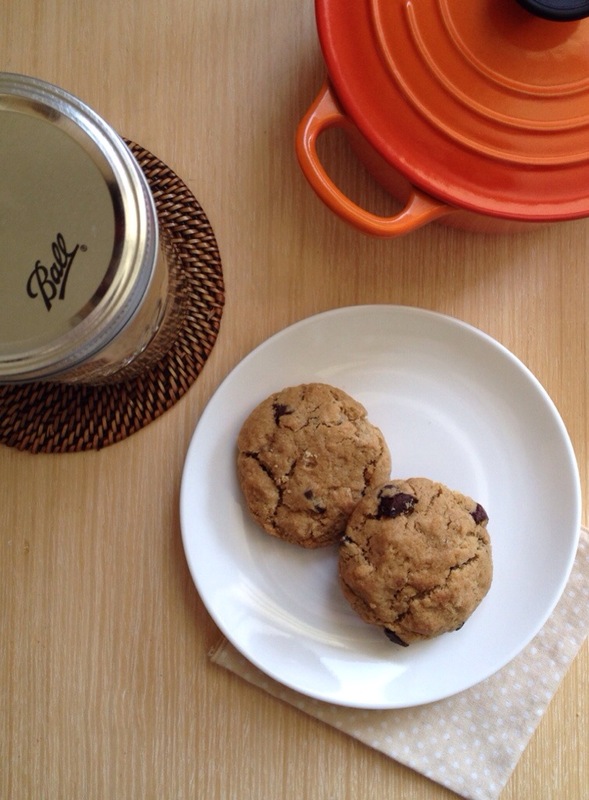 If you live in the U.S., you can order Belinda’s vegan chocolate chunk cookies right here! I think they would the perfect way to brighten up your lunch, or be a sweet treat for a tea party. ← Favorite Gifts for Kids~ 兒童節快樂!